Leadership Journey Final Draft Complete! 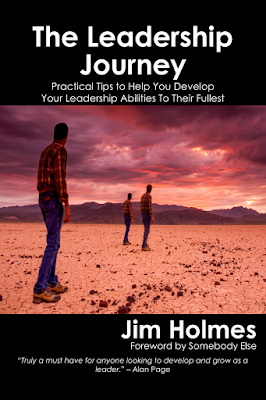 Thank you so very, very much for those of you who’ve patiently been waiting for the completion of my book The Leadership Journey! I’ve finally gotten through final edits and am left working only two “small” things: finalizing the cover, and finding someone to write a great foreword. Regarding the foreword, I’m going to shoot for the moon with my first request. It’s someone you likely know from great keynotes and terrific books on leadership and thinking. We’ll see how that goes. I’m playing around with variations of the cover based on the great photo my brother created. I hope to have word on the Foreword author in a week or two, and hopefully the foreword completed within the next three weeks. For those of you who don’t know, the book’s available right now at its page on LeanPub. You can purchase it now, and you’ll get the updates when the Foreword and cover are in the can. Again, thank you to all for your patience. It’s been a labor of love, sweat, and yes, some significant procrastination. I hope you’ll find it worth the wait!